Our exciting flavours are Australian Crocodile, Emu, Kangaroo and Wild Boar. Add lean meat, healthy fruit and powerful herbs means you’re giving your dog the right start to a healthy treat diet whether it be for training, snacks, rewards or just about anything all dogs deserve them. Your dog’s health will benefit for a long time to come. We donate a portion of proceeds to one of our local rescue organisations. One of our dedicated rescues is called “SCARI”, South Coast Animal Rescue in NSW Australia. An amazing story and Founder behind this rescue…Check out SCARI pictures on other page or visit their facebook . It will warm your heart when you learn about how special it truly is. I have been a part of this rescue for a while and I am amazed at the dedication, resilience and love each and every dog receives from this rescue. Read the before and after stories on SCARI facebook page it will put a smile on your face today. We care about every dog’s life that’s why we like to give back to the community of pooches. These funds help contribute to their happiness and we all want that don’t we? The funds will be used for vet bills, food, fencing, bedding, medicine, transport and general daily requirements to save as many as possible. Don’t we all love that unconditional love and the many countless hours of laughter they regularly provide us with and the memories we cherish always. 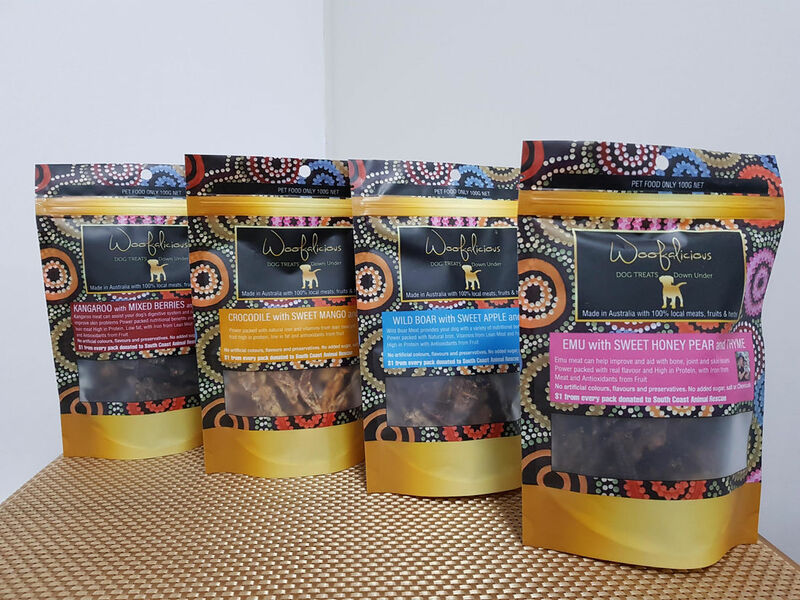 So if you want to make sure your dog is receiving the healthiest, leanest and delicious treats while making a difference in the world of dog’s lives then purchase ours today. Feel good in the knowledge knowing your purchases are helping dogs who need it.